If you are coming sledging in the field behind the church, drop into church for a warm drink afterwards. Help yourself if there is no one there. 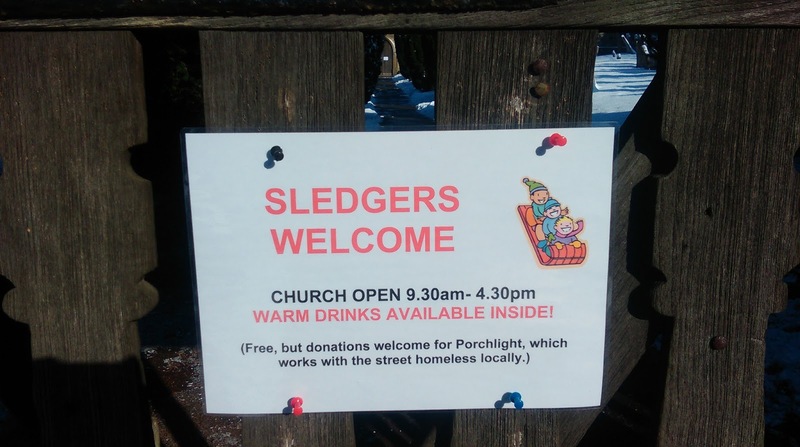 Drinks are free, but donations to Porchlight welcome. The toilets in the church hall will be open all day today (Wednesday) in case you need them too. CHILDREN'S CHOIR will be on this afternoon at 5pm in the church hall for any who can safely get there. 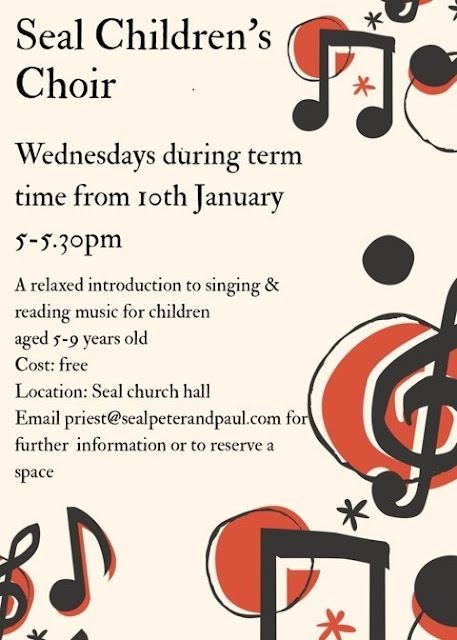 If you've got children at home who are fed up and need a bit of company and a good sing, bring them along - you don't have to have come before. 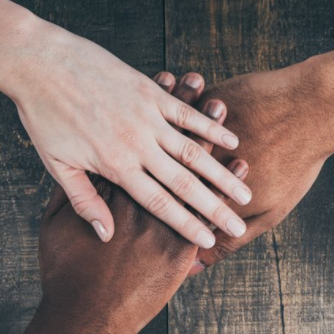 How often do we really listen to other people? · Try to be more aware today of those who are talking to you. Try to listen without interrupting, or thinking of what you will say next. · Those who suffer from hearing loss often find themselves isolated and left out of conversations. Are you hearing-impaired , or do you know someone who is? What might help them (or yourself) to feel more included in day to day life? · At the end of the day, think back through the conversations you have had. Where might you have heard God’s voice today? · What does it sound like? Is it noisy or quiet? Which do you prefer? · How does the sound of your home change through the day? · How has the sound of your home changed through the years, perhaps as people have shared your home or left home? · What sounds make you feel “at home”? · Are there sounds you hear in your house which sadden or worry you, perhaps in the things people say or the way they say them? How and where might you listen for the voice of God in your home? What might God be saying to you about it? As last week, go for a walk or sit outside. · What can you hear? · What can you tell about the place you are in and the time you are listening by the sounds you hear? · Sound is transient. Until the advent of sound recording, which is very recent, once a sound had been made it was gone forever. What are you glad to have heard today which you might have missed if you hadn’t been listening? Give thanks for it. There is still space on the list for our Lent trips to the National Gallery to look contemplatively at some works of art there. Saturday March 3 or Wednesday March 7, meeting at Sevenoaks Station to leave on the 9.59 train on both days. We'll be finished by about 1- 1.30pm, and then you can either go straight back on the train or stay in London for lunch, or paint the town red, if you have the energy! I've really enjoyed preparing these sessions, and I know, from our previous Lent trips to the British Museum and V&A that it will be great fun to explore and learn together. Numbers are limited to 15 on each trip, so let me know as soon as possible if you'd like to join us. There's plenty of space left for Saturday, but just a few places left on Wednesday. The trip's open to anyone who wants to come - and you don't need to be an art expert to enjoy it! There's no charge - you just have to pay for your own rail ticket to get there. Let me know if you'd like to join us. Spend some time in church over the weekend, either at a service or on your own. · Look around you. What can you see that helps you focus on God? · What are the visual elements of the church which make it special and different from any other building you use? · If the church is familiar to you, are there parts of it you haven’t really looked at? Explore a bit and see what is there. · If you usually sit in the same place, try sitting somewhere else (radical suggestion!). How does it change your experience of worship? · Are there things you see in church which distract you from worship or sadden you? Here are some links to handouts to help you explore Seal Church. Remember Me - a prayer walk around the memorials in Seal Church. Imagine yourself in this story. Perhaps you are Zaccheus, who longed to “see who Jesus was” but, being small, had to climb a tree to see over the heads of the crowd. Perhaps you are one of the crowd, who have always “seen” Zaccheus as a traitor and a thief, since he is a tax collector who collaborated with the Romans. Perhaps you are one of the disciples watching as Jesus “sees” Zaccheus as precious and beloved, someone who God cares about. · Visualise the scene. Try to see it in your imagination as vividly as you can. What can you see to your left and right, straight ahead of you? What is the weather like? Where are you standing? · Let the story unfold in your imagination. What does Jesus say and do? How do others respond? · What does it feel like to be part of this story? Watch the news, or be aware of the news photos in the paper or on the internet. Which images catch your attention? Why? Which images stick in your mind? If you were one of the people in the images you see, what would the world look like to you? What would be the sights you would see in your daily life? Do they look harassed, contented, happy, sad? How do you know? Are there people who you find it hard to look at – the beggar on the street or the colleague or neighbour you have fallen out with? Do you, or someone you know, have problems with their eyesight. What impact does it have on daily life? What might help to make life easier? How do you feel about the way your home looks? Are there things in it which bring you particular joy to look at? Are there things you see in it which make you feel unhappy or frustrated? Find some place in your home where you can feel at peace, some corner that is just for you (This may be a challenge if you share your home with others!) Maybe there is a place in your home where you pray, reflect or read, or can just sit quietly with a cup of tea. Find something to put in this space which will help you to reflect. It could be as simple as a postcard you like, a shell or other natural object or a candle. Create a little focus for reflection which you can come back to as often as you like. Take a walk or sit somewhere outside where you can see some grass, trees, growing plants, birds or animals – a garden, a park, a churchyard, or just somewhere with a view of the countryside. Look around you. Don’t analyse or think. Just look. · What can you see? · Imagine describing what you see to someone who couldn’t see it. What would you tell them about it? · What delights you about what you see? · Is there anything which saddens you in what you see? · What do you want to say to God about what you see? “God saw what he had made and behold, it was very good.” Gen 1. God made us as physical beings, and blessed what he had made. Bodies matter, and our senses are very important parts of our bodily existence. Our senses are the gateways which bring us information about the world around us. Through them, we “make sense” of what is happening around us and to us, our place in the world and our relationships with others. Senses can be fragile and fallible, however. Most people at some point, and some people permanently, have problems with one or more of their senses. Senses often change as we age, and can be affected by illness or disability. Even if they are perfect, we may not always pay attention to them as we should. 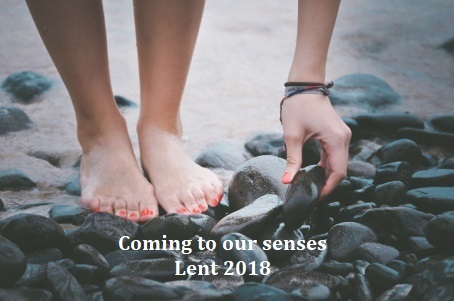 During Lent this year, we'll be focusing on exploring our faith through the five senses. 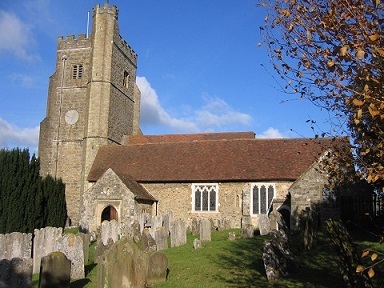 There will be two discussion groups - on Monday evenings (8-9.30pm from Mon 19th Feb) and Wednesday mornings (10.30-12noon from 14th Feb) in the vicarage. The Wednesday session is now full - plenty of space on Monday evenings though! There will also be a series of daily suggestions for reflection or action, here on the blog. There will be one each weekday and another to consider over the weekend, which will help us to tune “the five-stringed harp” as Celtic Christians called the senses, so that we can be more awake to God’s presence and his love in our daily lives. We’ll be looking at how our senses can help us find God at work in nature, at home, in others, in the news, in the Bible and in church. The reflections are timed to start on the Monday of the week after Ash Wednesday (Monday 19th Feb) , but you can read them at any pace which suits you. You can also join us for one of two trips to the National Gallery in London, on Saturday March 3, or Wednesday March 7, to take a reflective look at some paintings there. 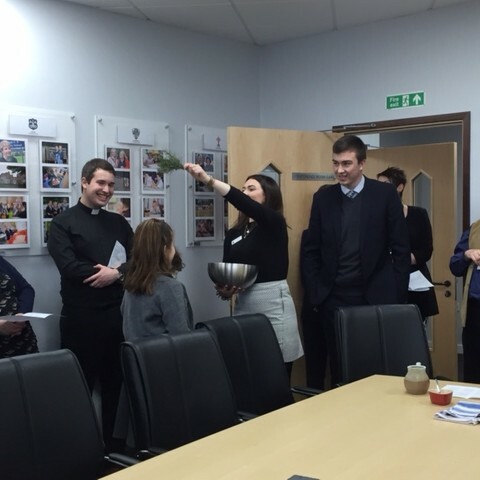 Welcome to the February edition of Rochester Diocese's monthly e-newsletter. Like what you're reading? Why not share with a friend? 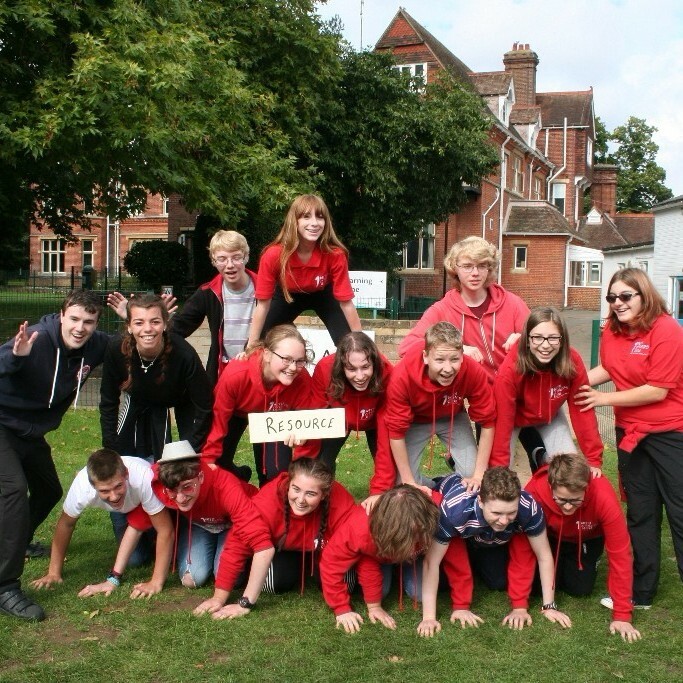 New Youth Fund now open! Originally announced at the Called Together launch in November we're delighted to announce the new Youth Fund is now open for applications! Full details about how to apply can be found here. 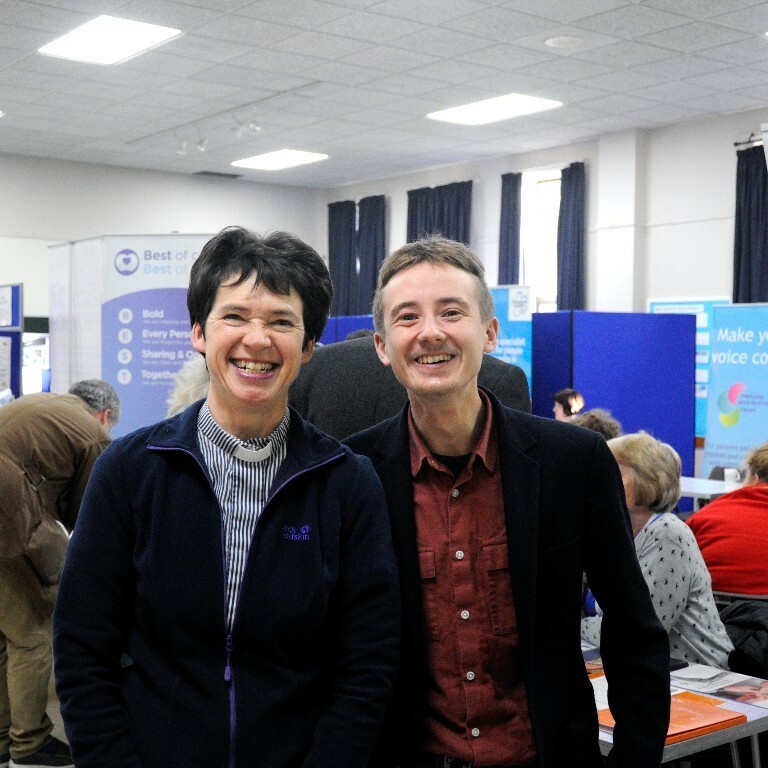 A huge variety of courses are offered throughout the year in the Diocese for clergy and laity alike. This new online booklet offers a one-stop-shop, allowing you to quickly see what courses are available and who they are suited to. Additions and updates will be added each month, so do keep checking back. A permanent link will also be added to subsequent editions of the e-newsletter. 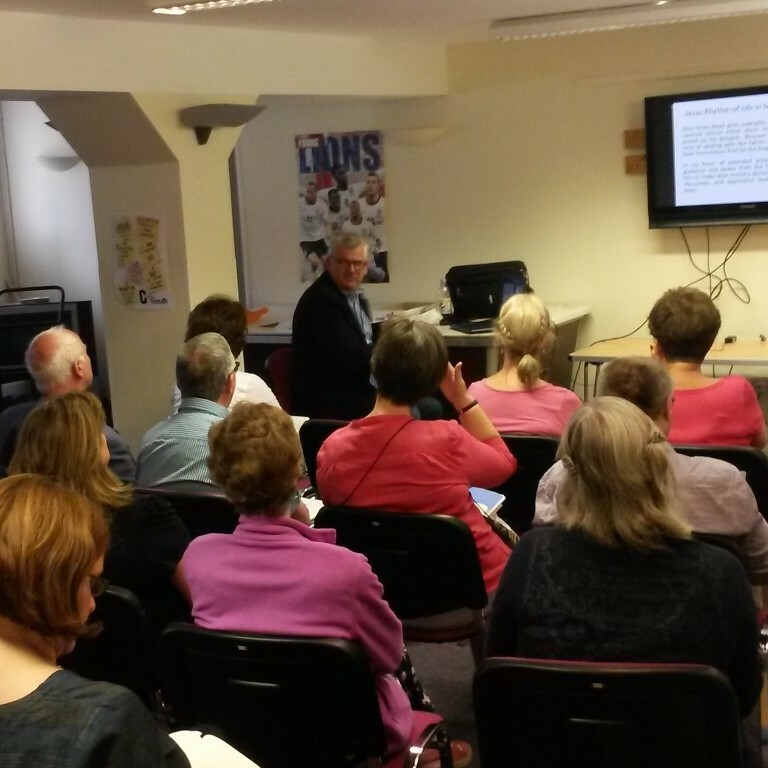 Our three Called Together Roadshows are now ready to hit the road and are coming to an Archdeaconry near you. It's your chance to hear first-hand about the vision and what it means to you. Come with your questions as well as meet local organisations in the 'market-place'. GDPR - We've created a new page for information about GDPR. Take a look. Thy Kingdom Come - It's been a busy time for the Thy Kingdom Come team, with official launches for the main event in May now having taken place. 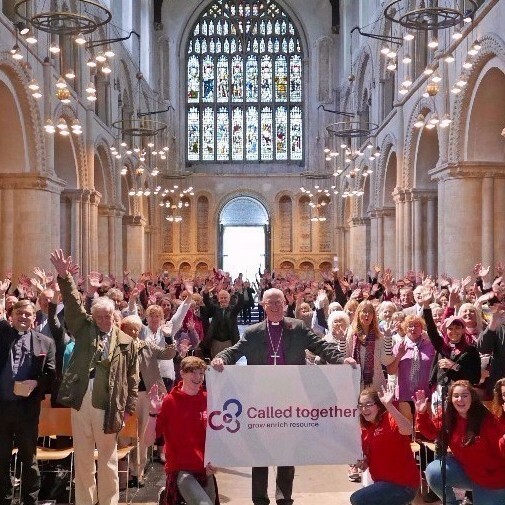 In this video, the Archbishop of Canterbury talks about the aims of this global movement of prayer and how people can get involved. Prison Hope is a year of focus on prisons for churches in 2018. 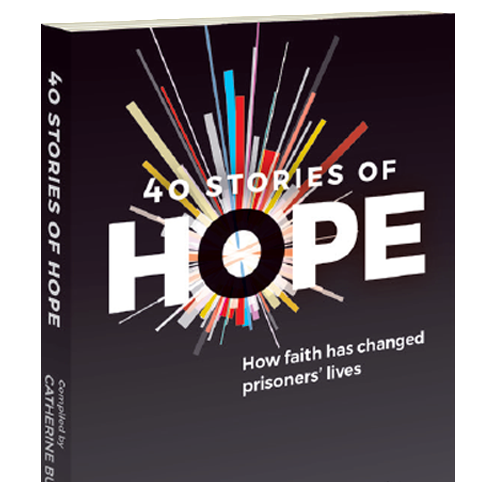 A collection of 40 testimonies from prisoners, ex-prisoners and prison chaplains has been compiled into a booked called 40 Stories of Hope. An ideal accompaniment for Lent, readers can explore how all can find hope in Jesus, no matter who they are. With a foreword from the Archbishop of Canterbury visit cwr.org.uk/40stories for details and to order copies. This national resource has now gone live. 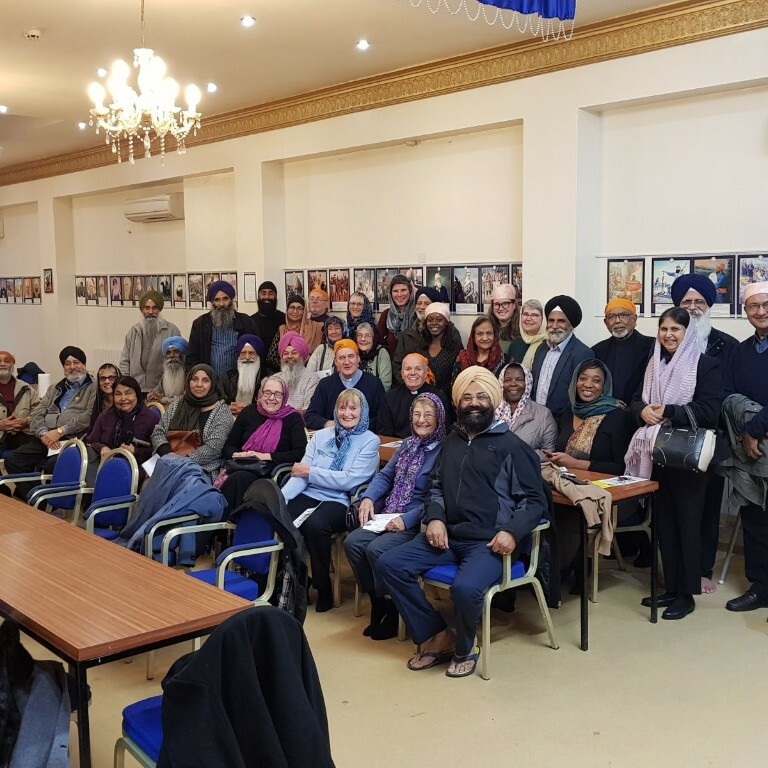 With an accompanying book, downloadable resources for individuals and church groups, as well reflections that can be received daily as a text, or via Facebook and Twitter, there are lots of ways to get involved. 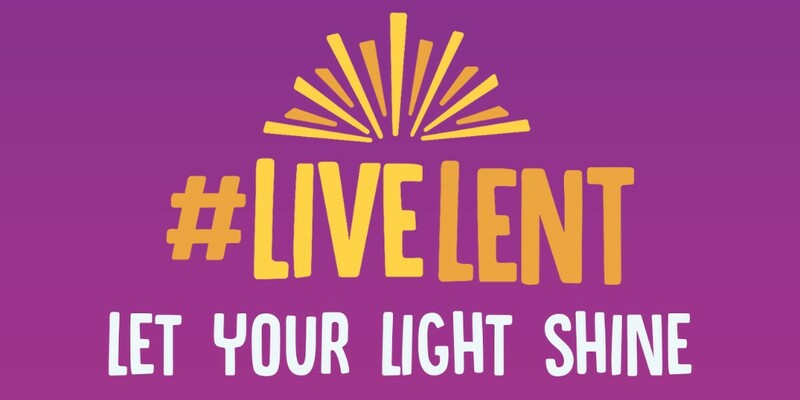 An interesting idea here from The Clewer Initiative - a Lent Challenge to #giveupslavery. Remove the goods, products or services from your life that are touched by slavery. Resources and daily reflections are available. Don't forget we have a number of Modern Slavery events taking place as part of Hope 2018 too. All Age Worship, 13 March 9.30am – 3pm, St. Benedicts Centre. Led by Rev Jane Hulme. Is it possible to create a meaningful and engaging All Age Worship Service that will enable all generations to come together to worship God? 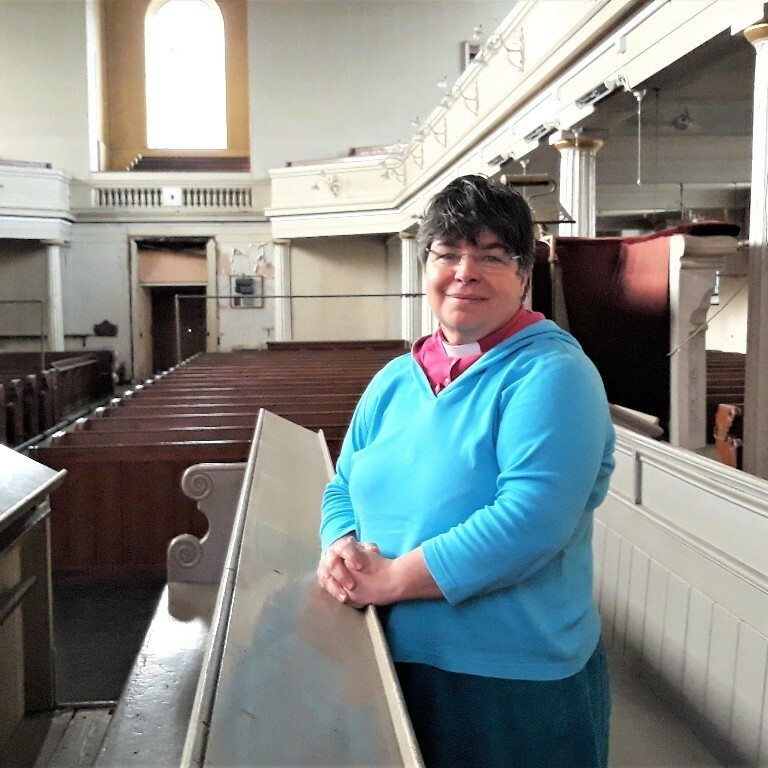 Watch: A film with Cheryl Trice, Diocesan Children & Youth Work Adviser, offering a snapshot of the benefit youth work is bringing across our parishes.